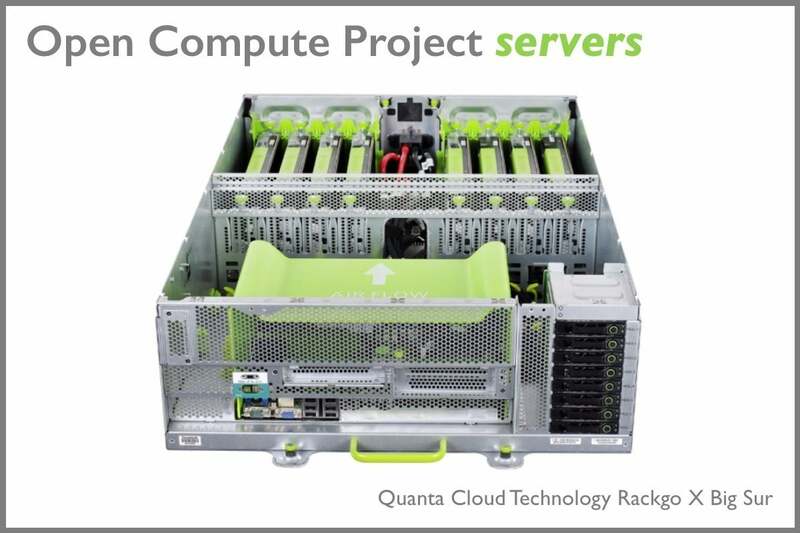 The Open Compute Project is all about designing servers and other data center hardware that users will want to buy. The answer was a series of designs for servers that would be cheaper to build and operate. 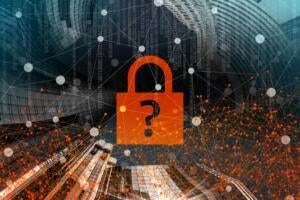 Facebook decided that it stood a better chance of finding a manufacturer for its designs if others wanted to buy them too, so with the support of Intel and Rackspace, it opened up its designs and invited others to build and build on them too. 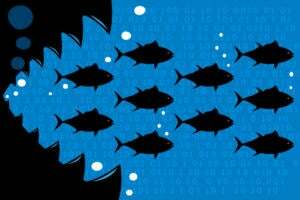 Microsoft, a prolific user of server hardware to run its Azure cloud services, took a keen interest, and suggested improvements and even complete designs of its own. Now vendors including Hewlett Packard Enterprise are manufacturing servers to these open designs, so you can profit too. 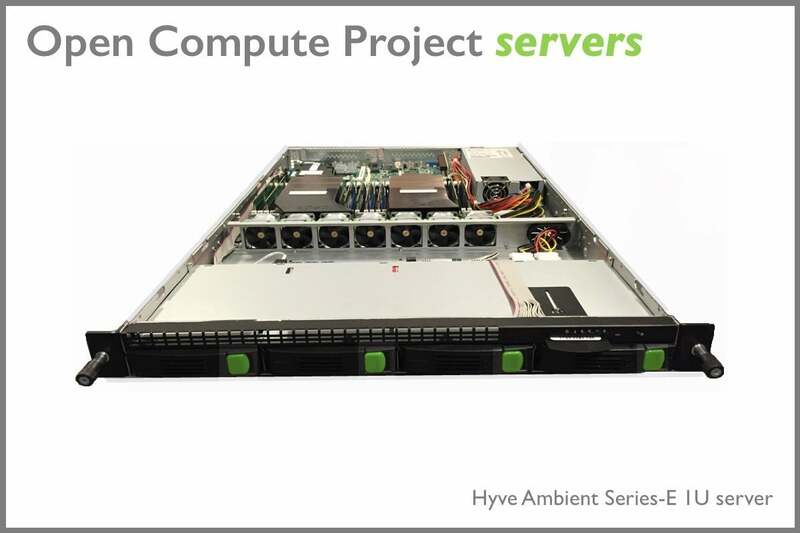 The Ambient Series-E servers from Hyve Solutions are 1U designs with room for either four 3.5-inch drives 10 2.5-inch drives, and either single or dual power supplies. They’re designed to work with ambient inlet temperatures as high as 104F (40C), lowering cooling costs. They carry dual Intel Xeon E5-2600 processors and up to 2TB of RAM. 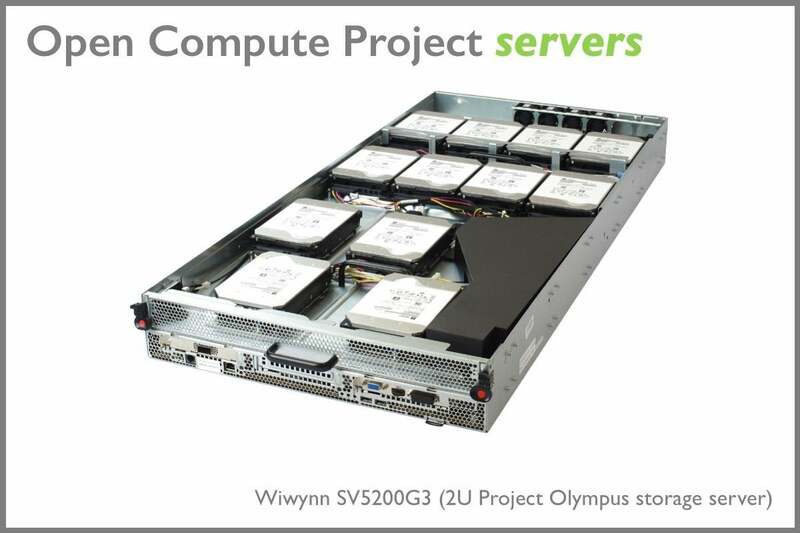 Based on Microsoft’s Project Olympus storage server design, the Wiwynn SV5200G3 has two sockets for Intel Xeon scalable processors, with 24 DIMM slots holding up to 1.5 TB of DDR4 memory. It has room for 12 3.5-inch disk drives, four M.2 module slots, two PCIe 3.0 x8 slots and three PCIe 3.0 x16 slots. The system bus is an Intel UltraPath Interconnect. 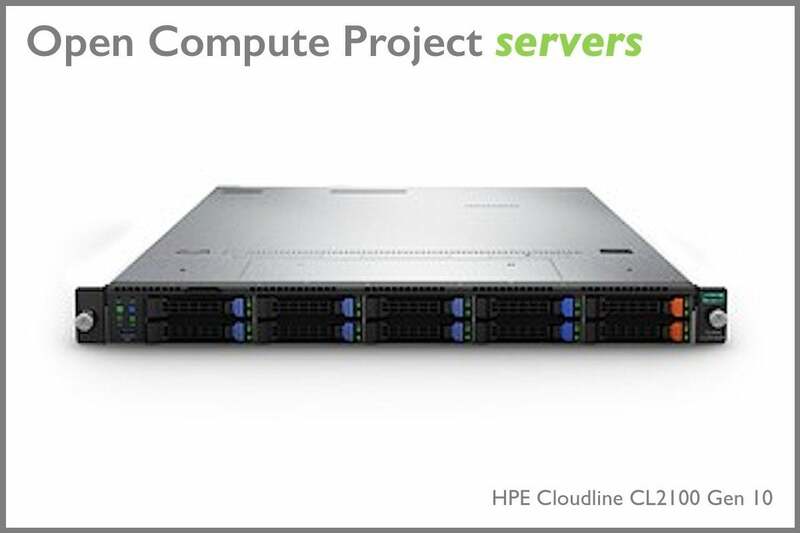 Hewlett Packard Enterprise’s Cloudline server range is based on Open Compute Project Designs. The Cloudline CL2100 Gen 10 is one of its slimmest, a 1U chassis supporting up to 10 SFF (small form factor) hard-disk drives, for up to 3.84TB of storage. Networking options include two Gigabit Ethernet ports or OCP 2.0 Mezzanine or PCIe 3.0 ports. It has sockets for two Intel Xeon scalable processors and 24 DDR4 DIMMs. 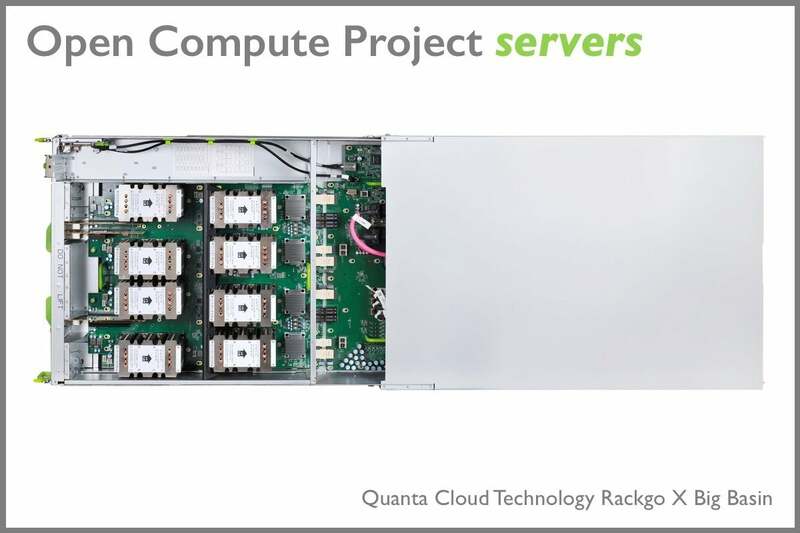 The Quanta Cloud Technology Rackgo X Big Sur was the first Open Compute Project GPU server on the market, designed for large-scale artificial intelligence computing. It has dual sockets for an Intel Xeon E5-2600 processor and eight GPU boards compatible with Nvidia’s K80/M40 series providing thousands of cores for use by deep learning algorithms. 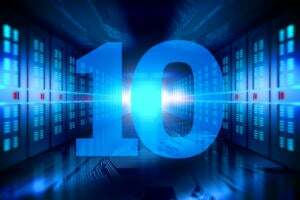 Its 16 memory slots can hold 1TB of RAM. Facebook recently released the design for Big Sur’s successor, Big Basin, and Quanta Cloud Technology is making those, too. Big Basin is a pure GPU enclosure: It has no CPU, and needs to be linked to a server head node to operate. It can hold eight Nvidia Tesla P100 GPUs in SXM2 form factor.